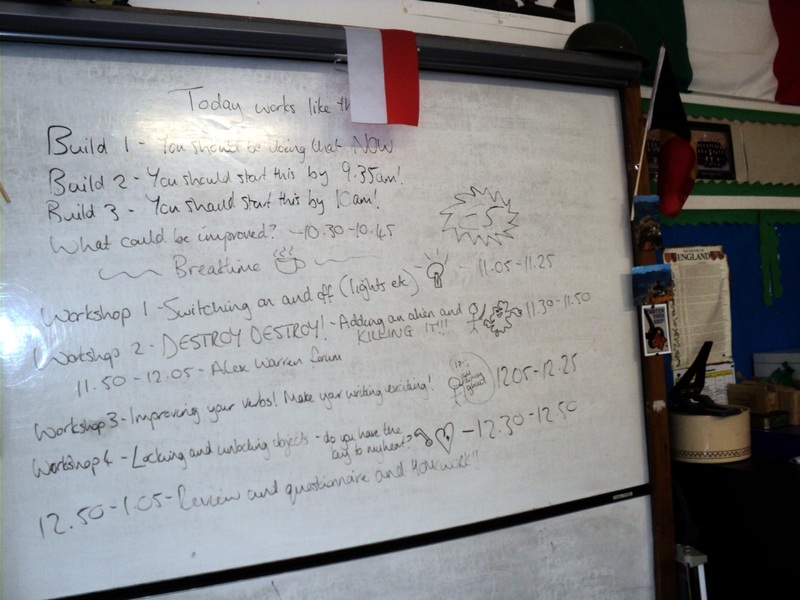 I had the pleasure of spending Wednesday at Perins School in Alresford, Hampshire, where the entire Year 7 (11-12 year olds) went off-timetable for the day to start creating their own text adventures with Quest. This was part of their “Transform” programme spread over five Wednesdays. In the first week, the school had a visit from a local author to talk about writing and creating characters. In week two, they started looking at text adventures, playing The Things That Go Bump In The Night. 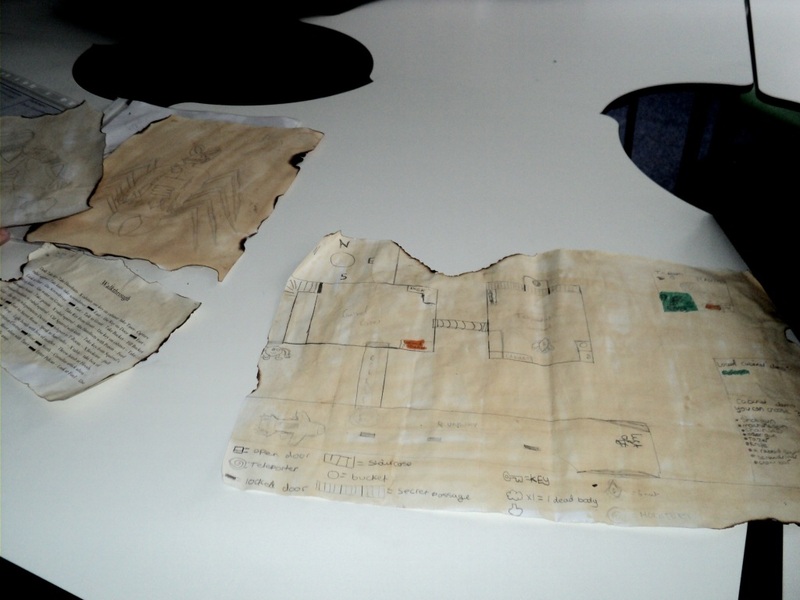 In week three, they started planning their own games on paper (limiting themselves to four rooms to give a realistic chance of being able to implement the entire game). 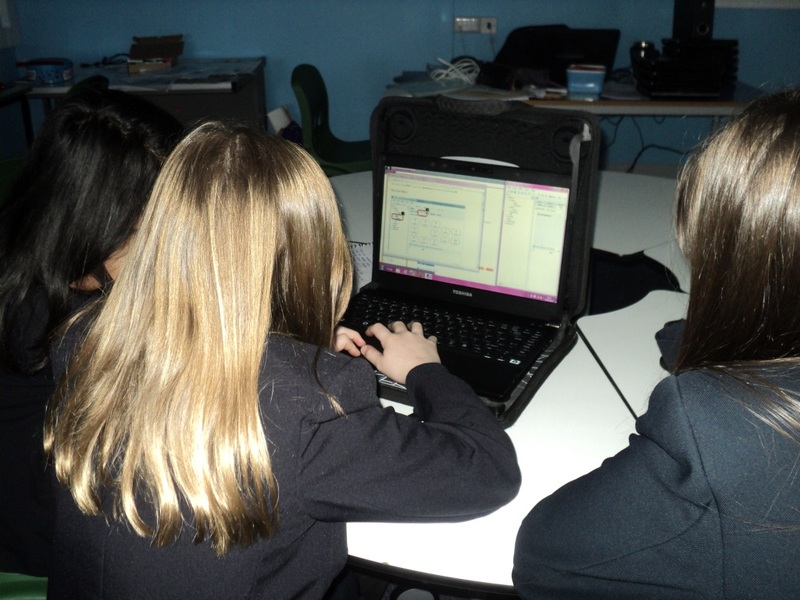 I joined them for week four, where the pupils got to create a Quest game for the first time. After the break, various workshops run by myself and Kristian Still. We covered destroying objects, switching objects on and off, locking and verbs, and any other questions the students had such as keeping a score. I must admit, I thought the timetable was pretty ambitious – these students hadn’t seen the Quest Editor at all before the day, yet by the end of it, most of them were getting on really well. They had covered everything they needed to implement their own games next week. Is it difficult? “It’s great fun. It was exciting trying to think up ideas”. According to this student, coming up with the ideas is the hard bit, and implementing them is just pressing some buttons! I guess that means they found the software pretty easy to use. It was really great to see the students getting on well with the software, and I look forward to seeing their finished games. This entry was posted in Education on February 24, 2012 by textadventurescouk. It was really great to have you there Alex. 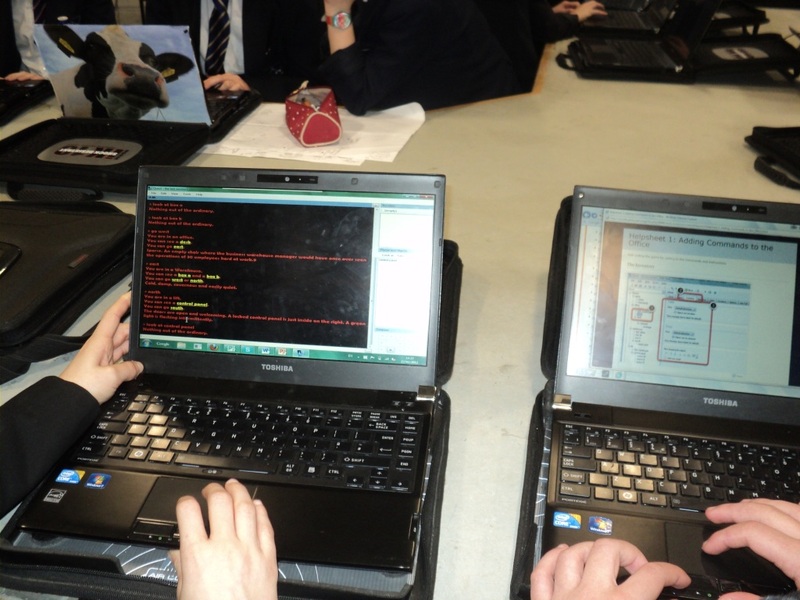 The students had been working really hard on their games and with the superb resources that Gideon Williams had put together via our Moodle site to support their progress, they were really engaged and pepped-up!! However to have the ‘creator’ of QUEST there was the icing on the cake. Thank you for the kind words about the students.